The Attorney-General has discounted claims, the Justice Department is pussyfooting over Kwesi Nyantakyi's case . Gloria Akuffo explained, the A-G’s Department is waiting for full raw and uncut tape to move the case. But Anas’s lawyer Kissi Agyabeng remains unimpressed by this explanation and has pointed out, the A-G has already been given all the materials it has requested. 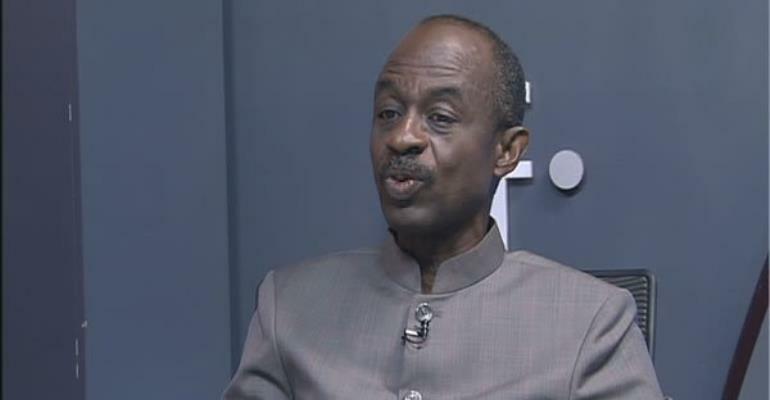 The back-and-forth explanations do not surprise NDC General Secretary Asiedu Nketia who was a panellist on Joy News’ Saturday news analysis show, Newsfile. “I said this the day he was picked up by the CID”, he recalled saying the former GFA boss will escape punishment by Ghana’ laws. “I said this is just a storm I the teacup. I hope I will be proven wrong”. Asiedu Nketia explained, the investigative documentary video which was broadcast in Accra and Kumasi in filled auditoriums showed that Kwesi Nyantakyi was a politically connect person, a description that is a disincentive to any government, he said. “The challenge in fighting corruption has been dealing with somebody who is connect with a particular government”, the man who has said in several cabinet meetings under President John Mahama said. Despite the President lodging a formal complaint against Nyantakyi, Asiedu Nketia maintained, it does not prove commitment to fight graft. He said there could be deliberate mistakes during the prosecutorial process that could all be geared towards aiding the suspect to walk free. “These our lawyers, they know how to destroy cases”, he said explaining wrong charges could be pressed and poorly-timed arrests could all help a suspect to elude justice. Anas Aremeyaw Anas has started an online petition to collect signatures and press government to act. “Right from here I am going to find a way of signing the petition”, he laughed and noted pressure from civil society groups does help politicians to sit up. He recalled the President while a candidate promised in 2015 to use what he called the ‘Anas Principle’ which is using undercover methods, to fight corruption. Anas is around, the laws are there and Akufo-Addo is president, he said asking what could stop the government from applying this principle. “I want to egg them on to prove me wrong that they will deal with this”, he said. The NDC General Secretary said the Special Prosecutor provides the best chance of successful prosecution because it was set up with the expectation that it will be independent of political influence.